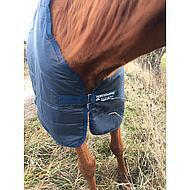 The 100-gram Horseware Liner is an undercoat of smooth polyester and has a 100 gram filling. 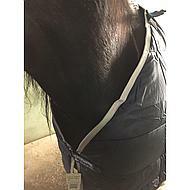 This Horseware Liner can be attached to various Horseware blankets. Both the Rambo, Amigo and Rhino blankets. 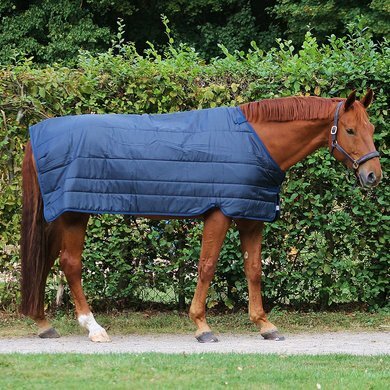 These different blankets feature the Horseware Liner System, which means that the blankets can be attached to additional rings where the Liners can be easily attached. With this liner you can make your rain blanket a warm outdoor winter blanket (Please note, not all blankets have this liner system). The liners can be washed in a normal washing machine, so you need to wash your outdoor blanket less often, reducing the waterproof coating and breathability less quickly. Both the outside and the inside are made of polyester and therefore reduce the risk of abrasion and pressure. The 100 grams of filling consists of fiber fill and is made of a hollow polyester filling and is also referred to as 'stacking'. An important feature of this filling is that it always takes back the original thickness and structure. 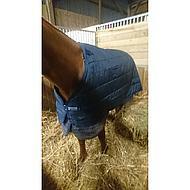 Due to the thermal effect the blanket holds body heat and the cold outside. 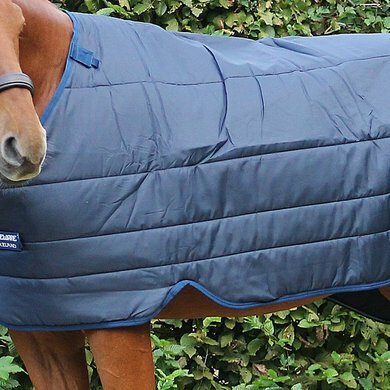 In addition, the filling is made up of different layers, which allows for warm air to circulate between the horse and the outer fabric of the blanket. This allows for extra air circulation and absorption of excess body heat. 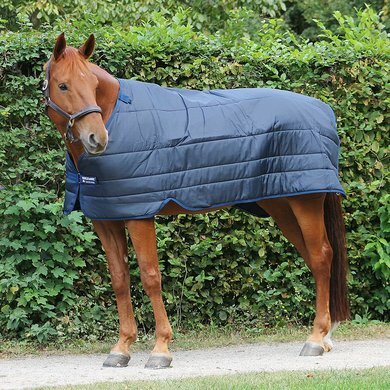 The blanket has a single breast closure and is provided with Leg Arches, which represents leg recesses. 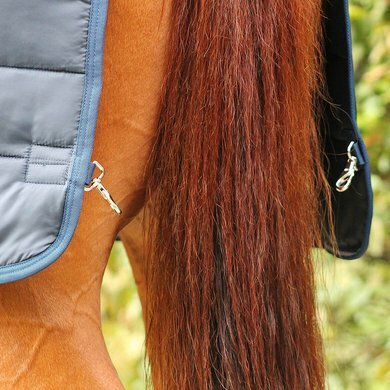 As a result, the movement of your horse is not hampered in any way. - Outer fabric: smooth polyester. - Filling: 100 grams of thermobonded firefill. - Inside lining: Smooth polyester. - Fit: Leg Arches, short undercover model. - Breast closure: Single / straight. - Other closures: On front Velcro, on the backside clips for attachment to the blanket. - Available in sizes 165 cm to 220 cm. 98% would buy this product again. Fine underblanket that stays good due to the good fit. Easy to wash yourself in the washing machine. 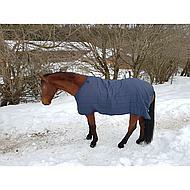 Very nice blanket to be able to vary in thickness during the winter months. 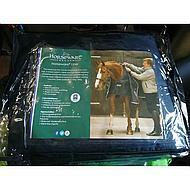 good liner from Horseware. Fit well, attachments well. Just as we are used to from Horseware. 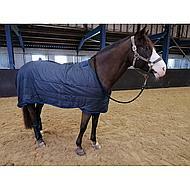 Fine under blanket can be attached under a Horseware Amigo blanket at the front and at the back under a rain blanket. Also fits under other brands of blanket but then it can NOT be attached to the rain blanket, but it can be attached at the back. 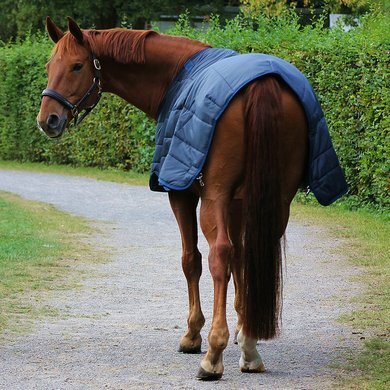 Another downside to Horseware blankets is that they don't have leg cords. 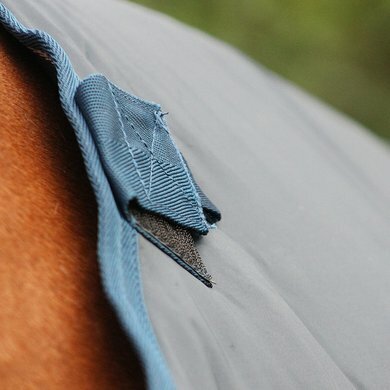 Question: the velcro of the liner does not match (crooked with respect to the winter blanket) with the rings of the amigo XL Turnout. The fastening can then not be attached to the rings. How is this possible? I also have a neck attached to the blanket. 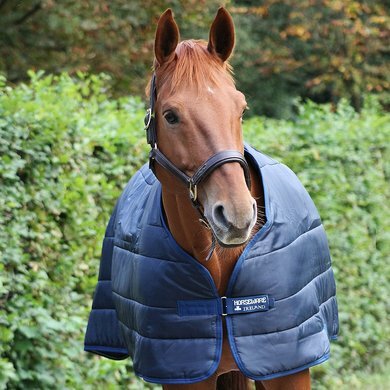 Answer: The Amigo XL Turnout blanket has no Liner system. The liner can therefore not be confirmed. Question: Does this blanket fit the Amigo Hero 6 rain cover? Answer: The false ceiling can only be attached to Horsware ceilings, which are equipped with the liner system. Unfortunately, the Amigo Hero 6 rain cover without liner system. Answer: This blanket is suitable for use with the liner system.